students the structure and composition of water. Chemistry Objective #6: Draw a water molecule and give its chemical symbol. MatchCard Information Pieces are used to demonstrate the structure of the molecule and its chemical composition. Project: Build molecule from large and small marshmallows. 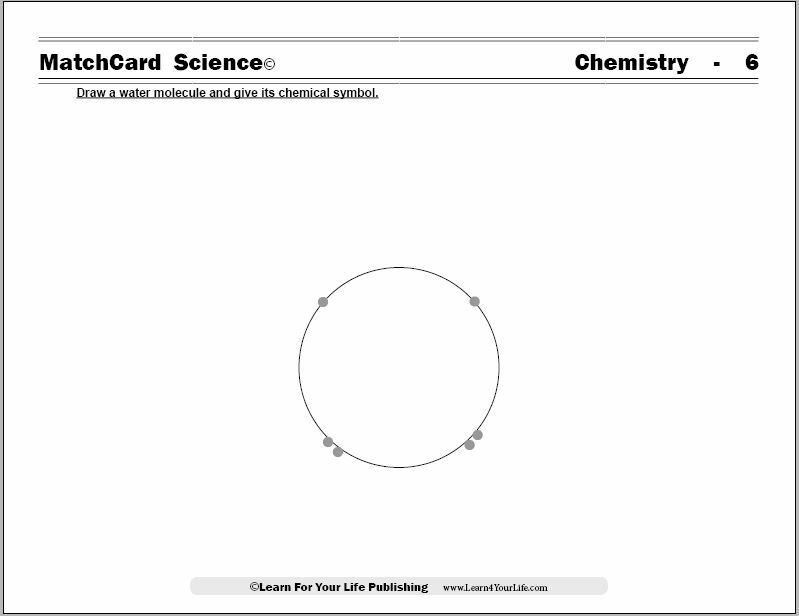 This is MatchCard #6 of the Chemistry Unit Study. Find more information on MatchCard Science below. Ask the student what it looks like. Most likely they will answer that it looks like Mickey Mouse ears. Explain that it is also the chemical structure of one of the most common chemicals. More than 60% of your body weight is made from these molecules. It covers more than 2/3 of the earth's surface. Your famous mouse needs it to drink. Now all of these chemistry concepts will come together as students build a water molecule. Look at the oxygen atom on the students MatchCard. RemiNd the student that it has eight electrons, two have filled the inner shell, and six are in the outershell. Electrons are more stable when they are paired. Four of the six electrons in the outer shell are paired. The atomic symbol of oxygen is "O". Lay the two hydrogen information pieces near the MatchCard to suggest the answer to your next question. Since there are two unpaired electrons in this oxygen atom, what do you think might be used to pair those electrons and make oxygen more stable? If the student can't answer, hand him or her the hydrogen atoms. As a last resort, show the picture of the water molecule on the teacher's guide. The student should remember that hydrogen has only one electron, and it's chemical composition is "H". Students often have heard that water is "h-2-o" before they have any understanding of what that means. While looking at the structure of the molecule on the MatchCard, ask them why water is often called "H2O?" They should be able to deduct that it is because there are two hydrogen and one oxygen atoms in this molecule. Point out that we don't use a "1" to show there is only one of a particular atom. It is understood. Note that subscripts are used with the number of atoms in a chemical formula. Use large and small marshmallows and tooth picks to build the familiar shape. Have the students roll the marshmellows to make them rounder. Let them know that this is an important shape for more than just mouse ears. The fact that both hydrogen atoms stay causes water to have some chemical properties which are essential for life. If the three molecules lined up in a straight row, life on this planet would not exist. Hint: Water is a polar molecule: one side has a slightly positive charge and one side has a negative charge. MatchCards make science concepts and corresponding vocabulary interactive. As students move the information pieces on the MatchCards they review the material they have already learned. 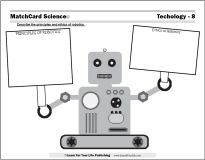 Download the FREE MatchCard Science Instructor's Guide and see how MatchCards can make building their science knowledge base fun. Kids learn about the atoms and molecules that make up our planet and the different chemical reactions that occur every day. Explore the building blocks of matter with the chemistry unit study. 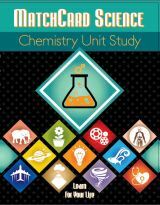 Chemistry is only one of twelve complete unit studies for kids in 3rd to 8th grade. Comprehensive objectives, hands-on projects, suggested science fair experiments, and the fun game-like MatchCards keep them interested in learning science. 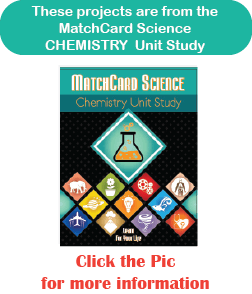 See all twelve MatchCard Science Unit Studies.